SUZOHAPP, a pioneer in the field of cash handling solutions - Casino Inside - The gambling industry magazine! SUZOHAPP is a pioneer in the field of cash handling solutions. This stems from many years of focused research and development to bring innovative solutions that bring real value to users around the world. The processing of coins has the longest history at SUZOHAPP, offering an extremely wide range of coin hoppers such as the Cube, Evolution and Flow. The very latest product marks the next level of coin payout technology: The Intelligent Coin System (ICS) is the new way to manage coins. The ICS is a revolutionary new coin handling machine able to process up to 8 different size coins without the need of pre-sorting the coins by the user. Due to its compact design and spacious size (up to 1,600 various sized coins), it is ideal for many applications, and supports a minimum coin-in to coin-out height solution. It is also able to dispense 4 coins simultaneously. The major benefit is the consistent and extremely quick payout speed which is guaranteed by the fact that the coins are ready and waiting for payout in the tubes (saving time compared to units where coins have to be searched for within the hopper itself). 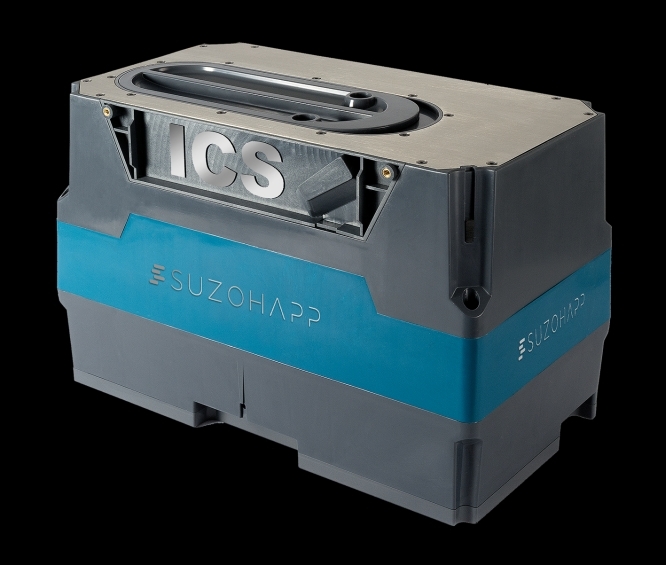 Furthermore, the ICS is extremely reliable and simplified maintenance (there are only four screws to access the unit). The coin-in is handled by the RM5 HD, the proven generation of high security electronic coin validators with approx. 2 million of these units in the field. Ten different coin calibrations are carried out by means of five sensors (inductive, optical and magnetic). Its advanced discrimination algorithm increases the protection against any possible fraud coins. The reliability statistics speak for themselves: a MTBF which is equivalent of 1 in every 20 years. 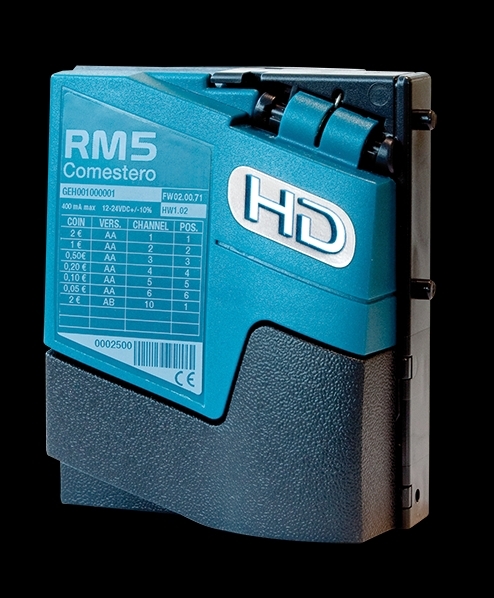 The RM5 HD comes with an array of accessories, such as coin entries and sorters. Coming back to coin payout, SUZOHAPP will be shortly introducing its brand new CoinLift Hopper. Today gaming machine manufacturers strive to offer ultimate player comfort – this includes enabling the coin payout to be done at the same level as the coin-in. Players no longer need to bend down to get the coins. The CoinLift Hopper transports the coins back up within the gaming machine. The Bill-to-Bill™ (B2B) has proven itself for its leading banknote recycling technology for many years now. There are over 100 international currencies available. More uptime with lower labour costs are the results. It is the industry’s first self-centering mechanism with a first-time accept rate of 98%. The drop-proof cashbox secures the cash inside and gives RFID tracking logs. It is available with up to 3 recycling cassettes and can dispense up to 20 notes in bulk. The B2B is also available as a stackerless model – thus notes do not go to a cashbox. 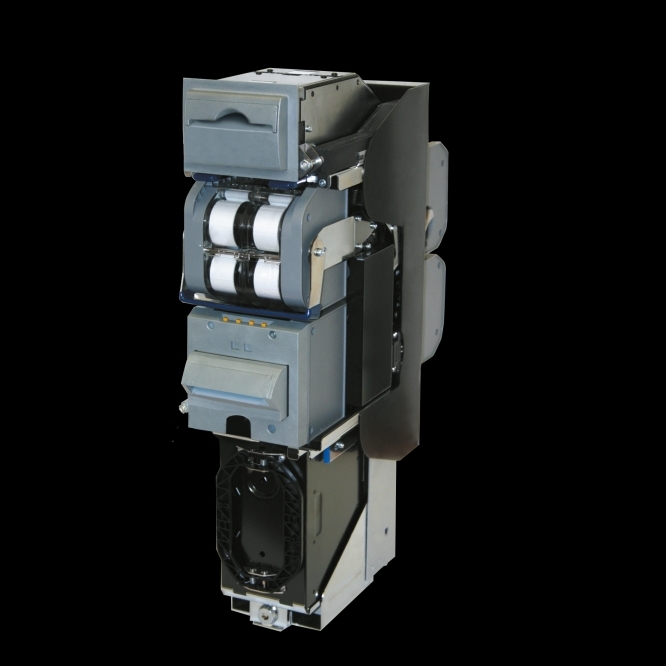 The Bill-to-Bill™ Stackerless is the world’s first and most compact 3-denomination banknote recycler with free-fall capabilities. As there can be so many cash components in a gaming /sport betting / change machine, the focus on the locks becomes all the more important. The solution is the E-PRL reprogrammable lock. This innovative, patented high-tech locking system is composed of universal locks with stainless-steel housing and self-powered key sets. No wiring is required for installation and operation. It is backwards compatible with standard locks, offering unequalled access control, checking each user and logging this as well. It is water resistant and needs no power (as the power is in the key). Each key is unique. SUZOHAPP offers 4 different types of locks here – Master, Download Key, User Key and Bluetooth Key. The Bluetooth version is designed to provide operators with online control of the locks from a remote location, even from a smartphone or a tablet. In conclusion, the E-PRL reduces management costs and saves time and money. The CashComplete™ brand of SUZOHAPP consists of three families of solutions: the Smart Deposit Solutions (SDS), the Smart POS Solutions (SPS) and the Recycling Cash Solutions (RCS). These products are simple to remotely manage thanks to CashComplete™ Connect. This is the most comprehensive and sophisticated cloud-based payment management platform on the market. It integrates all elements of the cash ecosystem – all points where cash transactions take place – enabling managers and executives to understand what’s happening across the entire organisation without having to manually interact with multiple systems or consolidate reports. Information from payment management hardware, software and back office systems comes together in an easy to use, seamless way – all in real time. Naturally this is just an overview of some of the key cash handling solutions at SUZOHAPP. Dedicated Product Managers are responsible for taking the road map further, ensuring that SUZOHAPP remains a leader in this key field of technology.